Petsare not permitted on beaches, in designated swim areas or in most cabins. Pets are allowed elsewhere throughout the park. Pets can swim at the boat launch area in section A or from waterfront campsites. At this time, only the Bear cabin is pet- friendly. The Bear cabin is now pet-friendly. West on U.S. 2, then 3-1/2 mi. north on Little River Rd. Located 30 miles south of Burlington just off I-89. 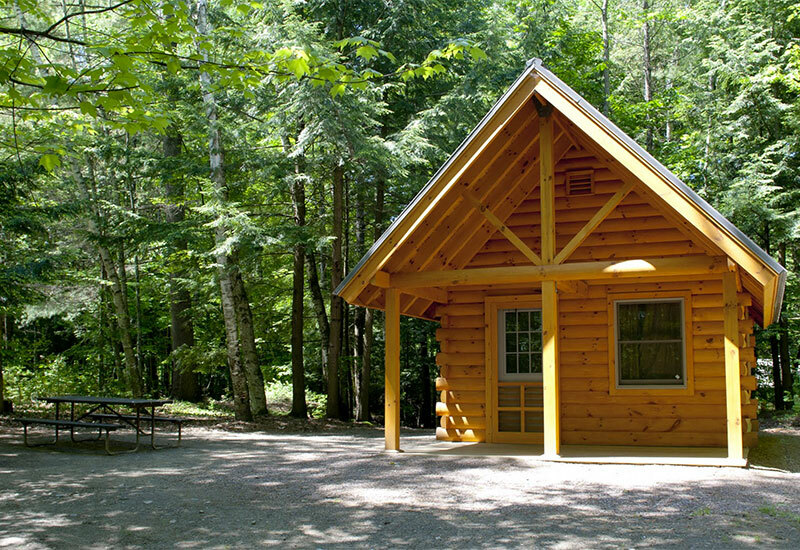 Camping:Developed campground with 81 tent-sites, 20 lean-to sites, and 5 cabins. There are also 27 remote campsites along the Waterbury Reservoir shoreline that are only accessible by boat. There is no charge for the remote sites but they are only available on a first-come, first-served basis. The sites have privies but no potable water. See the Waterbury Reservoir Remote Camping map for more information. Hiking: Miles of hiking trails are available at the park. Boating: Boats are welcome at the park and there is a motor boat launch. Boats are available to rent for campers only. Day use visitors looking to rent boats, please visit Waterbury Center State Park. Mountain Biking: This park has mountain biking trails. In the early 1800s, pioneers cleared fields, rocks, and stumps in Ricker Basin and Cotton Brook. A settlement of 50 or so families once lived in this area. The hard demands of the land and weather forced younger generations to abandon the farms. Today, old cemeteries, sawmill remains, old town roads, bridges and many cellar holes can still be seen as evidence of a past community. On November 3 and 4 of 1927, torrential rains caused local rivers to rise and drove residents to their roofs. Between 1935 and 1938 the Civilian Conservation Corps (CCC), in cooperation with the U.S. Army Corps of Engineers, constructed Waterbury Reservoir. The CCC camp here was a fully operating, thriving community with more than 80 buildings, and housing 2,000 men at its peak. Now, half a century later, only a few solitary chimneys and concrete foundations remain. Enjoy swimming beaches, play areas, boat rentals and a launch, and miles of hiking and mountain bike trails in the adjacent Mt. Mansfield State Forest. Self-guided history and nature trails are located close to the camping area. Little River State Park, which is part of Mt. 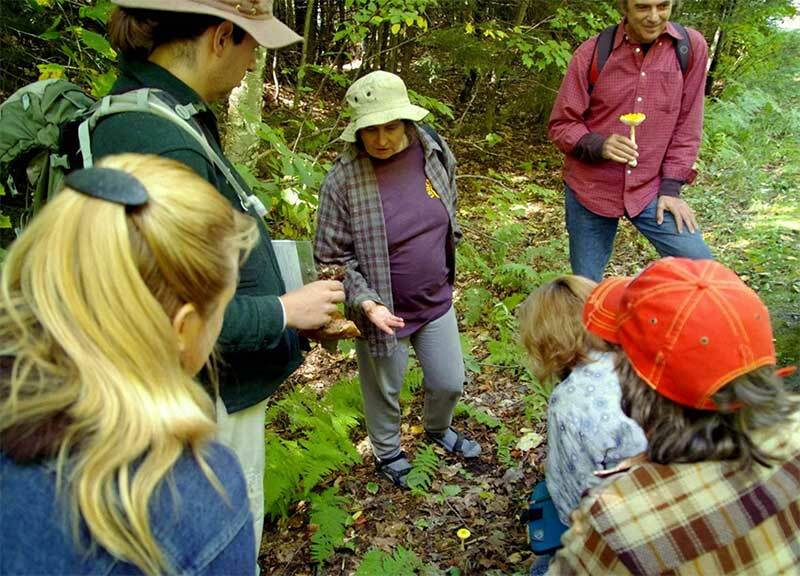 Mansfield State Forest, is home to central Vermont's largest and most popular campground. The campground has 81 tent/RV sites, 20 lean-tos and five cabins. Restrooms have flush toilets and hot and cold running water, and three of the four restrooms have coin-operated hot showers. A sanitary dump station is available, but there are no hookups. Within the campground, there are swimming beaches, play areas, a boat launch, ball fields, and boat rentals for campers (for day use boat rentals and swimming, see Waterbury Center State Park). Adjacent to the park are miles of hiking trails for campers and day use visitors that take in the rich cultural and natural history of the area. Remote camping: There are 27 remote campsites along the Waterbury Reservoir shoreline. There is no charge for these sites and they cannot be reserved. They are available on a first-come, first served basis and they are only accessible by boat. There are privies at these sites, but there is no potable water. View remote camping map here. Check out the current program schedule to see what's going on during your visit.